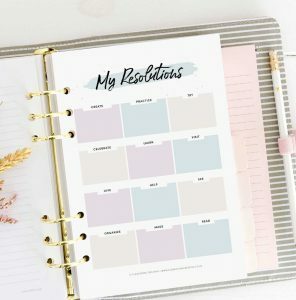 Printable Self-Care Habit Trackers - Make it a priority! Hi friends! 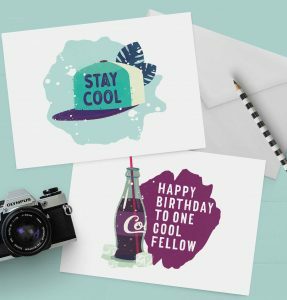 I’m so excited to announce that there’s something brand new in the shop. 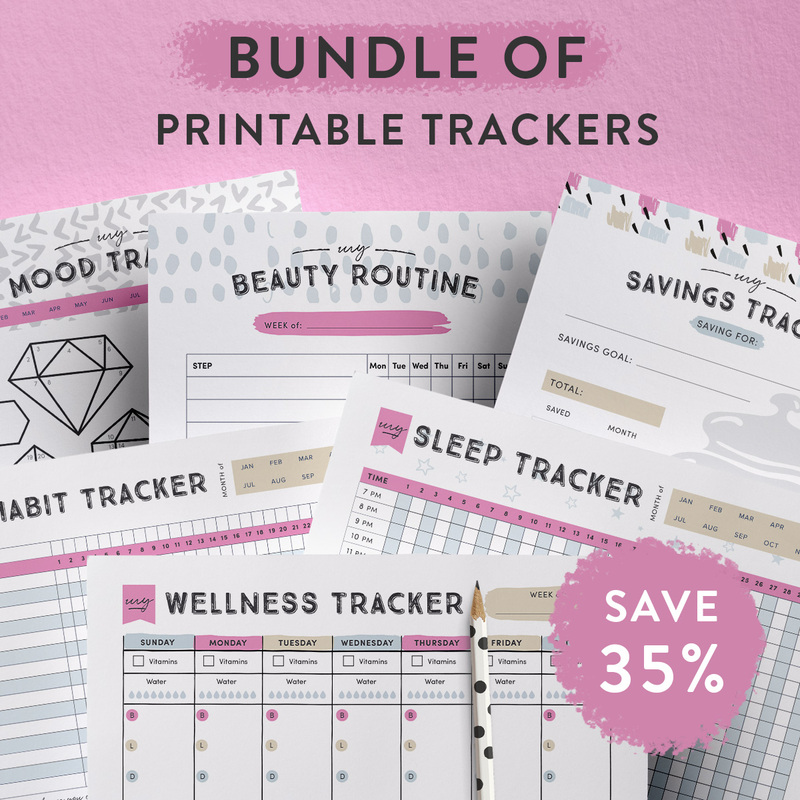 A reader suggested themed habit trackers – something that will help you track your beauty routine, sleep, and more. 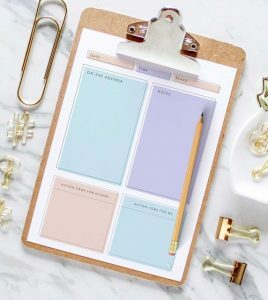 I thought this was such a fantastic idea that I decided to create 6 different trackers to help you make self-care a priority in your life. Why should you practice self care? Isn’t it selfish? Not at all. Taking care of yourself physically and mentally has many benefits. Just think of it: when you’re burnt out you will be of no use to anyone. You can only start taking care of others once you’ve taken care of yourself. 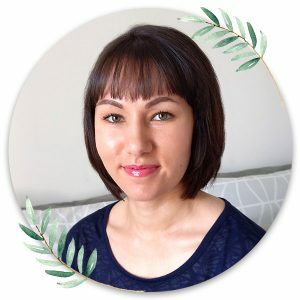 Why track your self care? Tracking your self care routines helps you see where you can make improvements, what works, and what doesn’t. 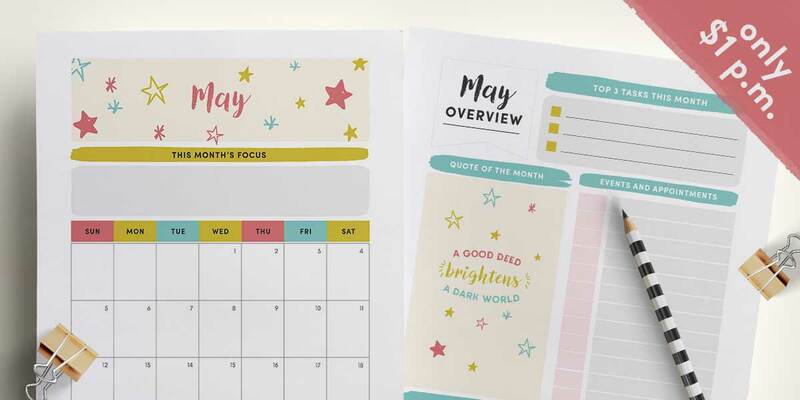 Tip: use these self care printables in correlation with your journal so you can correlate the occurrences in your day with your sleep, mood, etc. 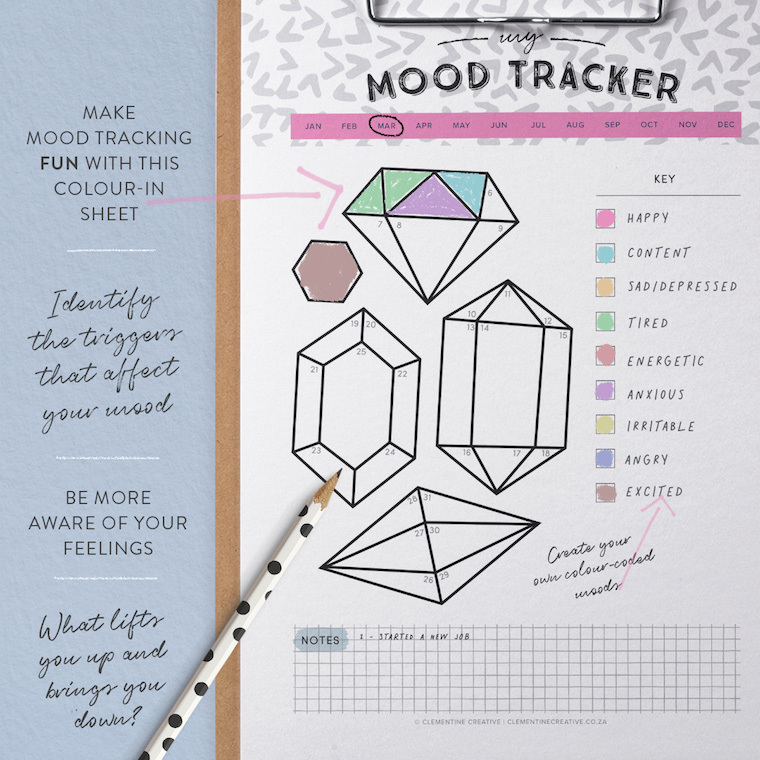 This printable mood tracker with colour-in gemstones will make mood tracking fun! Why track your moods? You will be able to identify the triggers that affect your mood. What lifts you up and brings you down? Use this mood tracker together with your journal so you can correlate your moods with what you did each day. 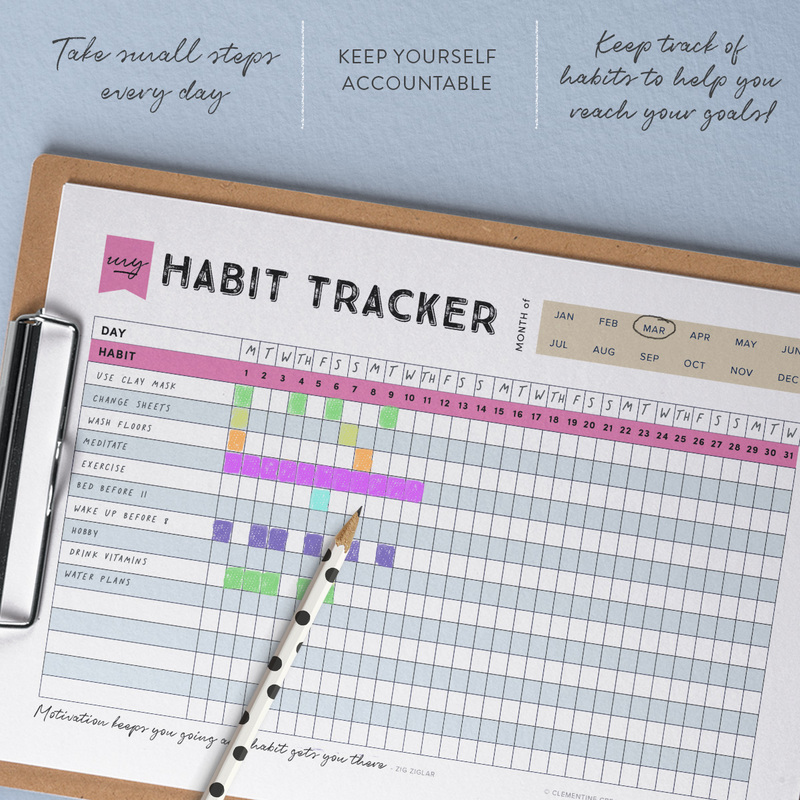 Want a general habit tracker that will track all your everyday habits? 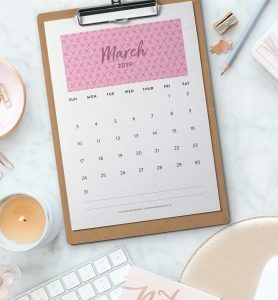 Write or type in your habits every month and check them off. You’re on your way to reaching those big goals! Started a new diet or fitness plan? 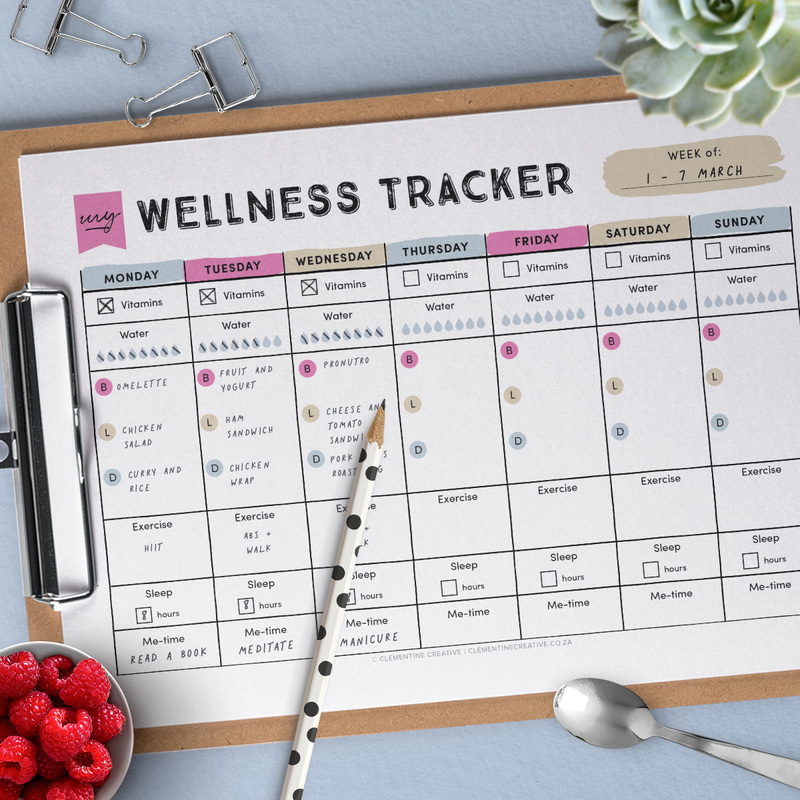 Keep track with your weekly wellness habits with this printable wellness tracker. Remember to drink your vitamins, 8 glasses of water, eat well, exercise and have some time for yourself. How many of hours do you need each night? 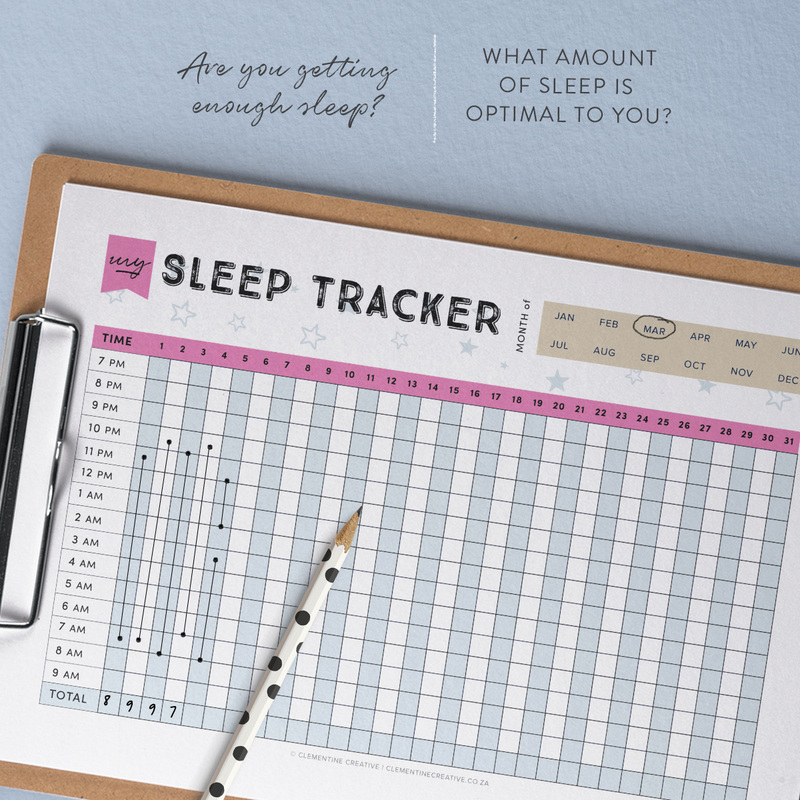 This printable sleep tracker will help you track your sleeping habits and see if you’re getting enough sleep and how you can improve. Let’s be honest – it can be easy to forget to put on that face mask 3 times a week. When was the last time I used it? Ever since I started tracking this, I know when I need to put it on again. My skin is thanking me! 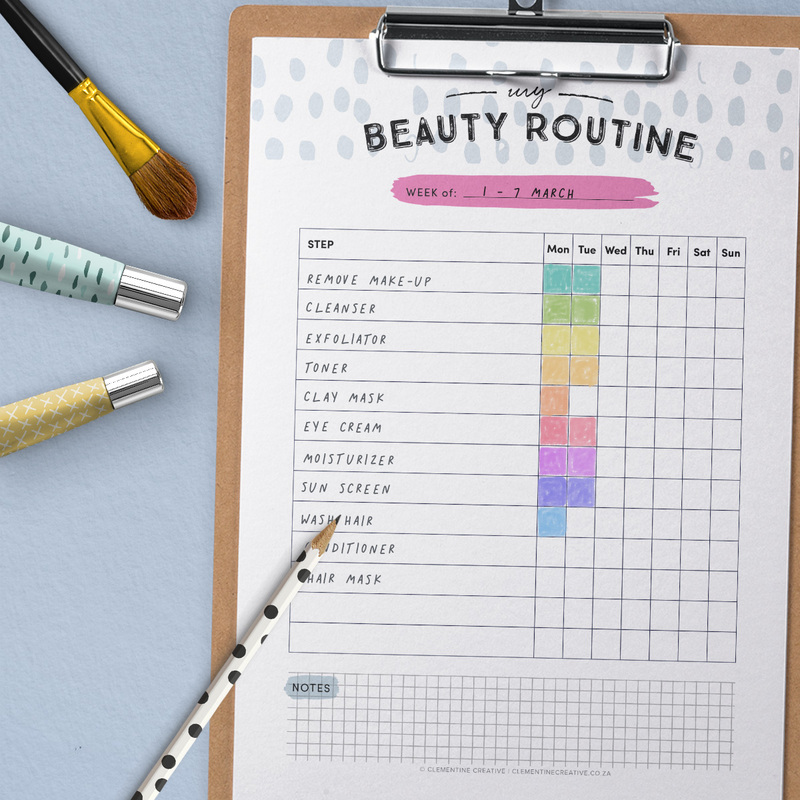 This printable beauty routine tracker can be used to track and remember your skincare or hair care routine. If you started a new routine, it’s easy to forget the steps. With this handy tracker, that won’t be the issue. Save for something that will make you happy. Perhaps a new sweater, shoes, a trip to your dream destination… Treat yourself with something special because you deserve it! 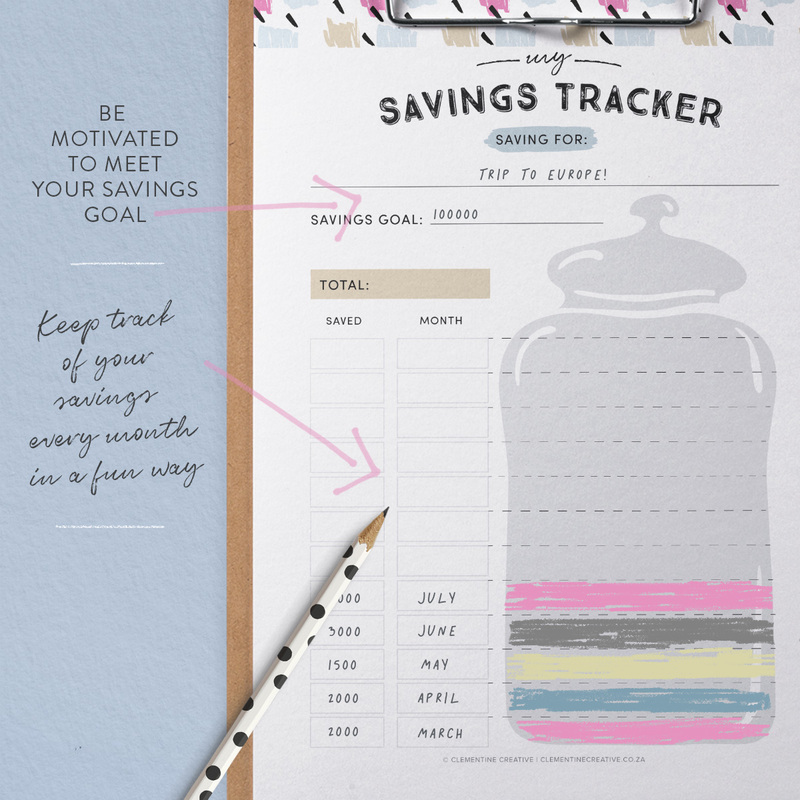 Each month, write down what you’ve saved and you’ll be motivated to fill up that saving jar. 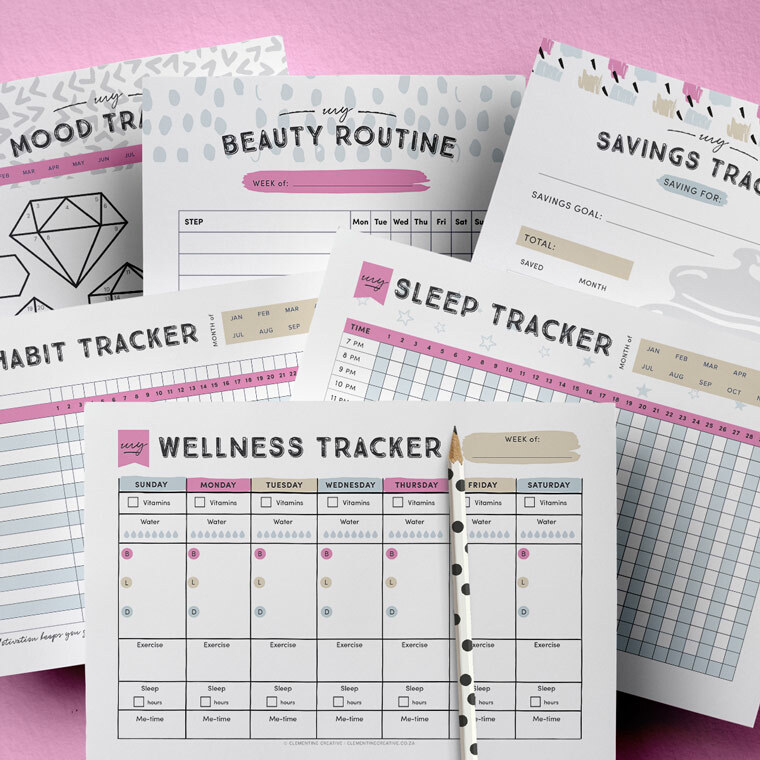 Need all of these self-care trackers? Well, I’ve got a special deal for you. If you purchase this bundle you will save 35%. You’ll get 6 trackers and only pay for 4!